Welcome Bonus: Deposit Bonuses over first three deposits and bonus spins. Bonus Spins: Available on your first and third deposit across four popular titles. Hello Casino isn’t a new face in the world of online casinos having been launched in 2014. It’s managed by White Hat Gaming Limited a powerhouse in the industry. It’s a clean and eye-catching website with a blue and black colour scheme. They are known for their welcome bonuses and promotions. Considering the welcome offer covers your first three deposits it’s no wonder that they have this reputation. 1st Deposit: Get 100% bonus cash up to £100 and get 25 bonus spins on Gonzo’s Quest or Twin Spin Delux. 2nd Deposit: Get 50% bonus cash up to £250. 3rd Deposit: Get 50% bonus cash up to £150 and get 25 bonus spins on Asgardians Stones or Bloodsuckers 2.
Notable terms and conditions: Minimum deposit of £10. Maximum bonus bet £5. Offer must be used within 30 days and the bonus spins within 10 days. Bonus spins are valid on the following games only: Gonzo’s Quest, Twin Spin Delux, Asgardians Stones and Bloodsuckers 2. Winnings are capped at £50 and bonus funds are subject to 35X wagering and withdrawal requirements. For all other terms and conditions here’s the link. When we reviewed Hello Casino the following promotions were available, however we know that they have a habit of changing the weekly promotions. Needless to say it is always worth checking the page regularly to see if there’s something new and exciting available. Sensational Sundays – 30% deposit match bonus. The minimum deposit is £10 and the bonus is 30% match of your cash deposit up to £100. Maximum bet with bonus is £5. Bonus funds are subject to 35X wagering and withdrawal requirements. Easy Mondays – 25% deposit match bonus. The minimum deposit is £10 and the bonus is 25% match of your cash deposit up to £50. Maximum bet with bonus is £5. Bonus funds are again subject to 35X wagering and withdrawal requirements. Every 1000 points equal £5 in bonus money to be redeemed on the loyalty program page here. Bonus funds are separate from your balance and are subject to 35X wagering and withdrawal requirements. Hello Casino have over 1000 games available to their customers, which isn’t surprising considering that they are partnered with over 50 software developers. Meaning that you’re bound to find something that floats your boat or tickles your fancy. With a large range of slots, table game, live dealer games, jackpots and heaps more, Hello Casino have an arsenal to keep you entertained for hours. Because of their large selection of partnered software developers Hello Casino are able to offer their customers a broad and varied range of slots. From classic 3 reel slots, video slows and of course the ever popular progressive jackpot machines. Titles such as Couch Potato, CashSplash 3 Reel and Fruit Fiesta 3 Reel that will keep the retro gamers happy. The video slot selection seems to go on for days, with such games like Book of Dead, Gun Slinger, Planet of the Apes, Jurassic Park, Game of Thrones and Avalon. The list just seems to go on and on. Hello Casino also have a jackpot selection. You guessed it, a place dedicated to those tantalizing big winners. With over 30 progressive jackpot slot games available such as Mega Moolah, CashSplash 3 & 5 Reel, Vikings of Fortune and Mega Fortune. It’s no wonder that Hello Casino is so popular. The great selection certainly doesn’t stop with the slot machines. Hello Casino also offers over 30 different table games to join. Their customers are bound to find something that suits them. They offer variations of each popular table game. Including 8 roulette tables, 7 blackjack tables and a variety of different poker tables. Not to mention the Baccarat, Texas Hold ‘em, Sharp Shooter and Red Dog Progressive tables among others as well. You won’t be disappointed. When you head over to the Live Casino tab, you could be mistaken in thinking that the selection isn’t that great. But once you enter into the designated Live Casino lobby you are faced with quite a staggering choice. Over 10 roulette tables, over 65 blackjack tables – yes you read that correctly. They also have Top Card, Texas Hold ‘em, Baccarat, Ultimate Texas Hold ‘em, Three Card Poker, Caribbean Stud, Texas Hold ‘em Bonus and Money Wheel available. The table limits vary from £.10 to £10,000 so when we say there’s something for everyone we absolutely mean it. Hello Casino do not disappoint when it comes to the live dealer games. In fact, Hello Casino do not disappoint when it comes to their entire games selection. In this day and age it’s integral that online casinos have a great mobile app available to their customers and Hello Casino have definitely delivered on this. The site is as you’d expect form such a well-known and popular online casino. It’s set up a little differently to the PC website however it’s still easy to navigate and user friendly. It boasts all the features from the PC website and it neatly bundled into a mobile friendly platform. The search functions have also translated well, which is always handy. The mobile site is just as eye-catching as the website and the layout really suits the smaller screen of either a tablet or a mobile phone. 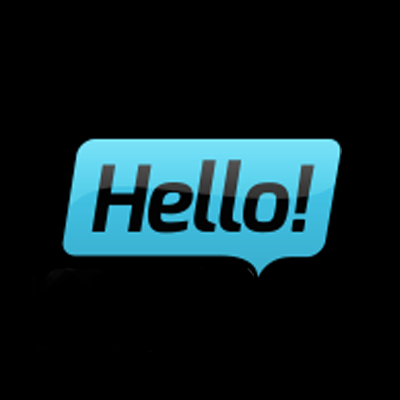 Hello Casino holds licenses with the UK Gambling Commission, the Swedish Gambling Authority and the Malta Gaming Authority. Details of these licenses can be found at the bottom of every page within the Hello Casino website including the landing page. Belgium Guam Romania US. Virgin Is. Bulgaria Iran Singapore US Minor Outlying Is. Before you jump to the customer service team be sure to check out their comprehensive FAQ page. It goes through some of the more frequent issues you might be experiencing. On the whole we found Hello Casino to be for the player. It’s the worlds ‘friendliest casino’ so the motto goes and we’ve got no reason to dispute this. The website is great, it’s eye-catching, sleek and modern. The staggering number of software developers shows in their varied game selection. Navigating through the website is a breeze, even with such a large selection of games there’s no way to feel overwhelmed with Hello Casino. Their customer service team is professional and prompt in their responses. Given the number of ways to get in touch with the team, Hello Casino understand the world we live in. Where we need more than just an email address and an FAQ page to get by, sometimes we just to ‘shout’ out across twitter quickly in our lunch break. You can’t go wrong with Hello Casino, they’ve been around the block since 2014 and since they launched they’ve been pressing all the right buttons. The website is modern, easy to navigate and user-friendly. They really have earned their motto of being the internets friendliest online casino. Coupled with the 50+ software providers that are partnered with this powerhouse, their game selection and great promotions, we can’t find anything to ‘harp’ on about.